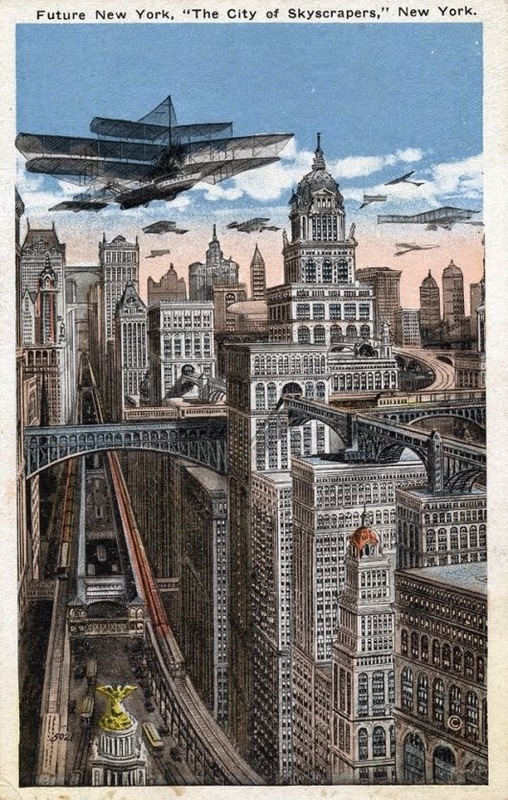 The past is full of predictions of the future, some startlingly correct others wildly inaccurate, but in them is created a strange future world and here are some of those predictions that are yet to be realised. 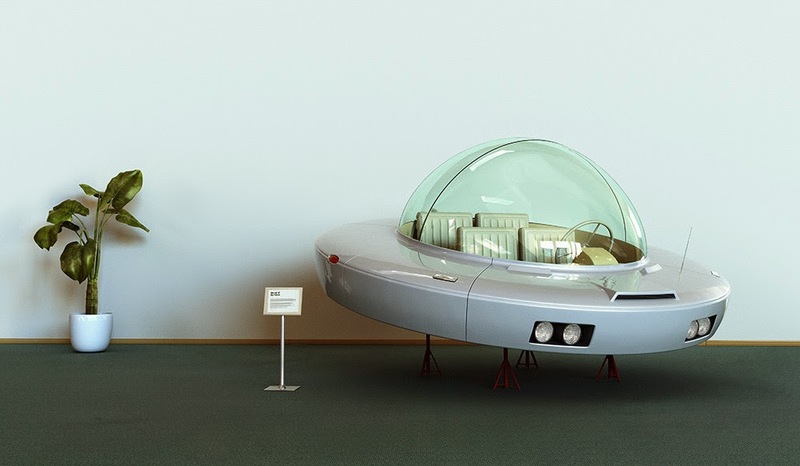 These saucer cars were regarded in the sixties as being the future of everyday transport, these illustrations show the wholesome family whizzing in from their daily adventure. Just when we thought it was the stuff of imagination - here we have this model built based on the previous picture. The dream has become a reality courtesy of Swiss artist, Tobias Stierli . 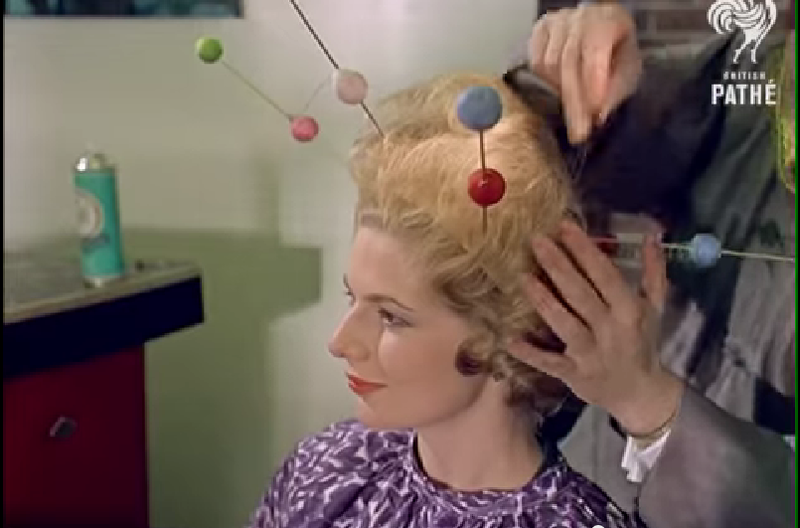 How about those future fashions - well take a look at some of these, just when you thought you were ahead of the fashion curve you come across these video clips showing how the future of hair and fashion was supposed to go. 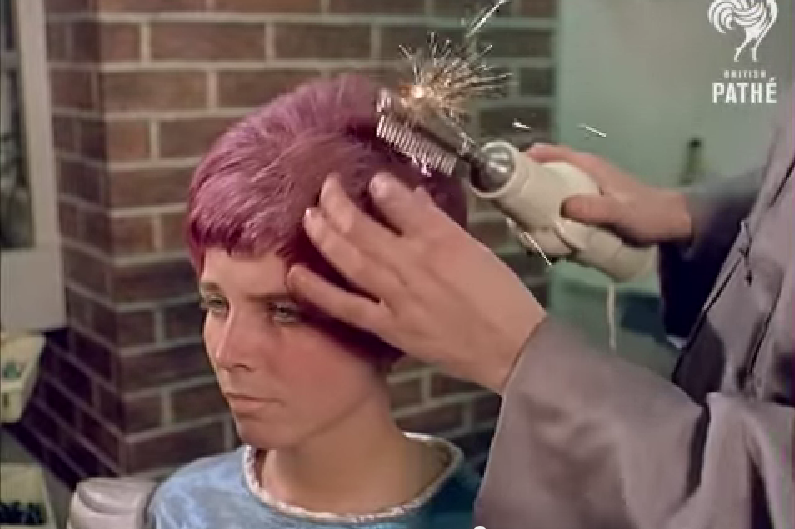 In this British Pathe film from 1962 we visit this Wokingham hairdressers - for a look at hair fashions in the year 2000 AD. 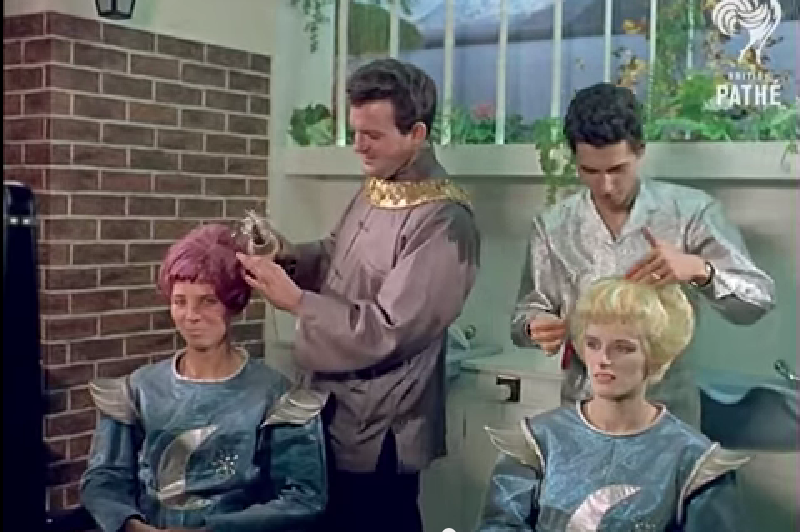 Here we see these lovely ladies getting some electrical treatment following a champagne hair wash. 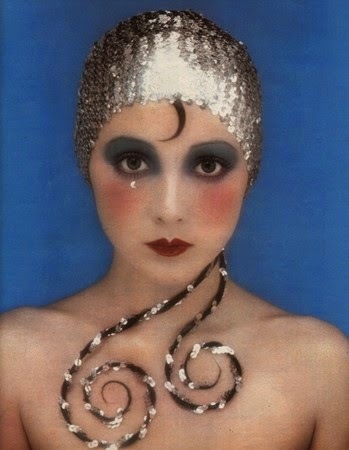 There is nothing like a sparkler hair styler! What completes a new hairstyle more than some molecule accessories! Its difficult to imagine why this has yet to become popular. Now we have our hair sorted lets look around the city and our home in it. Above s the future version of Toledo, Ohio complete with roof to ensure good weather all year round. 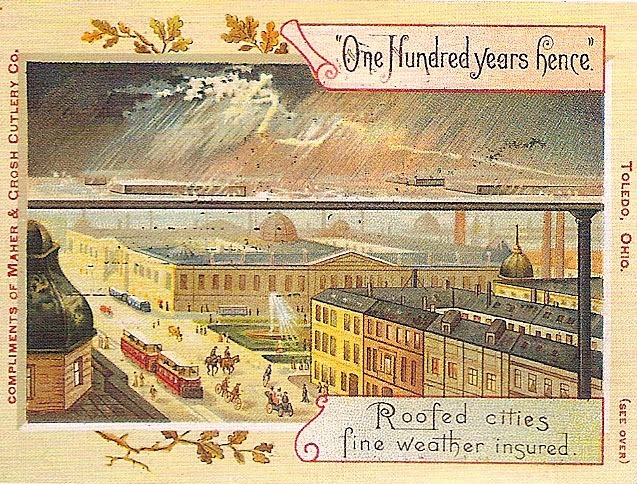 These are from around 1900 and show the city in the year 2000 and oh how things have changed. 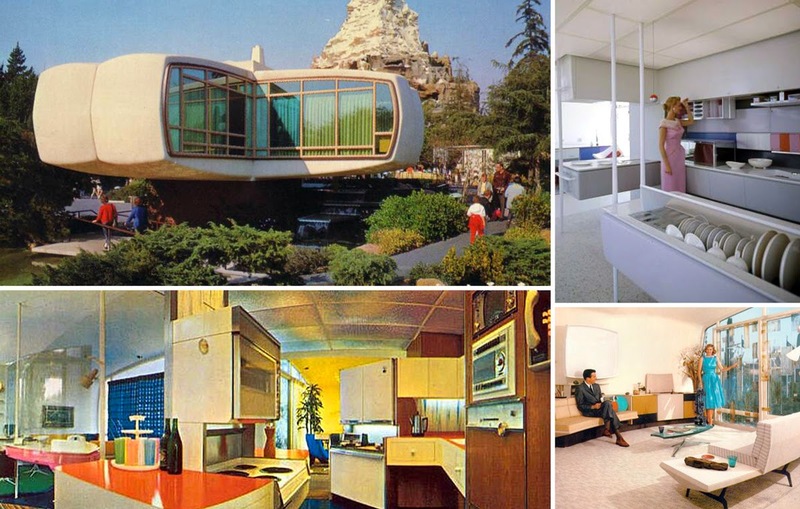 So what about the houses of the future - what can we expect? 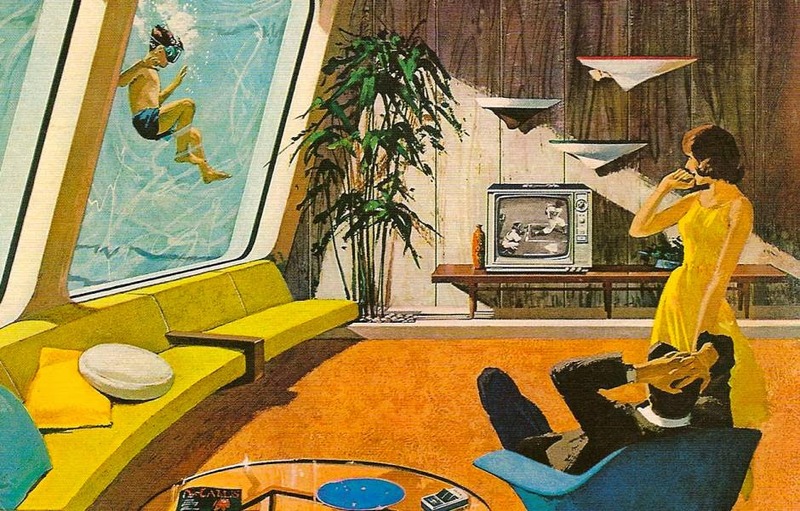 Well retro-futurism had all sorts of ideas on how the home of the future would look. 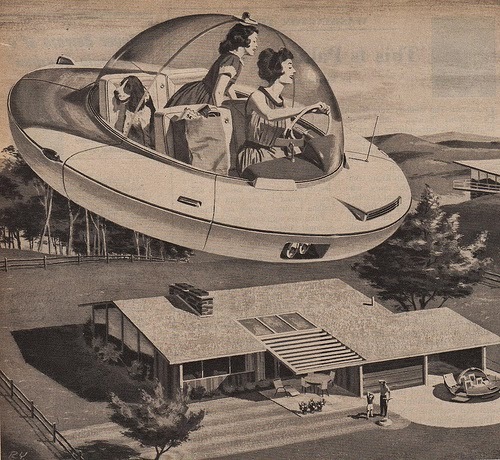 A famous example of this is the 1957 Monsanto Home of the Future. The Monsanto House was sponsored by the Monsanto chemical company and was nearly 100|% made from artificial materials mainly plastic. It was built at Disneyland California in 1957 and remained on display for 10 years. 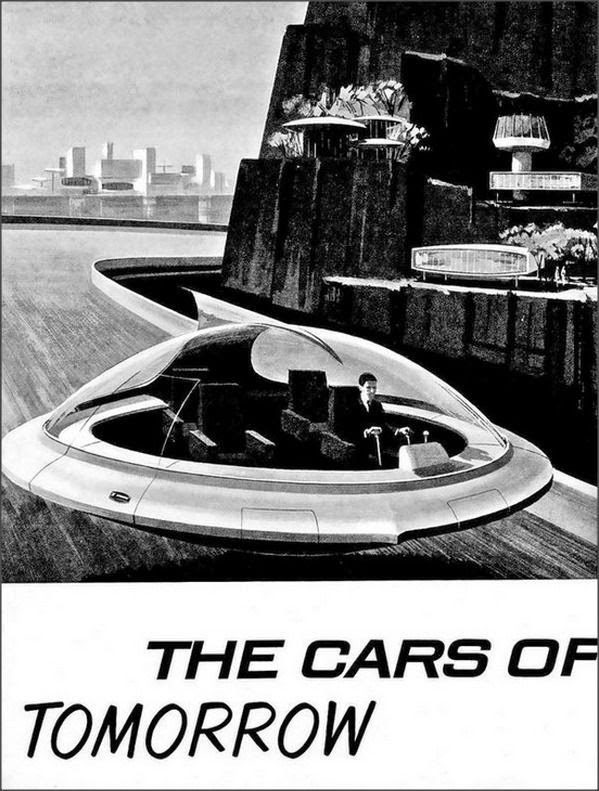 This vision of the future, which was set in the year 1986, features many elements that are not that far fetched for today. Some are still in the future though much of the kitchen appliances were automated and the dishwater even used ultrasonic waves to clean the dishes. There was an emphasis on these technologies almost having a mind of their own, along with sinks that rose and lowered depending on the height of who was using it. 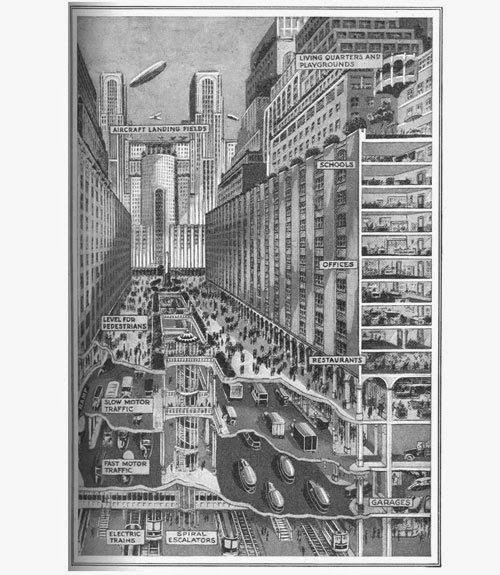 This illustration from Popular Mechanics shows the year 2000. Stains on the couch? 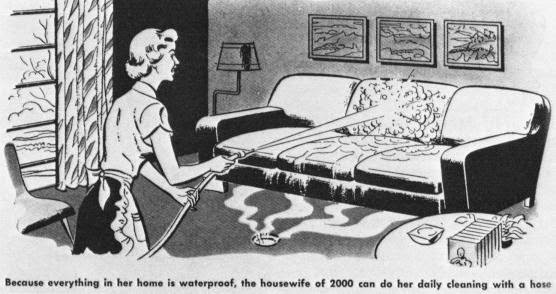 Fear not cleaning has never been so easy with this waterproof house, hose down the couch and watch the water drain down the central grid in the living room, turn on that blast of hot air and watch the whole thing dry as good as new, all that is left is to drop the soiled sheets into the incinerator!! 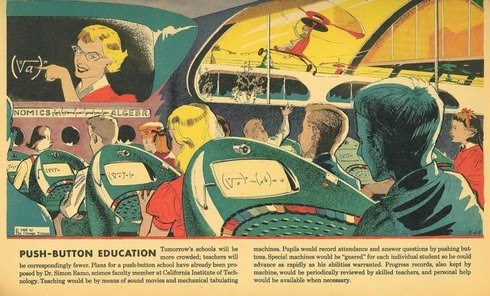 How about these schools of the future, this 1958 article looks at the school of tomorrow, the teacher is being projected onto a large screen and each individual desk has its own camera just in case there is any disobedience going on! Well now that we have absorbed these future predictions we might be well prepared for what may or may not be ahead of us.